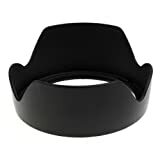 Compatible lens hood for EW-72 Canon EF 35mm f/2 IS USM Lens. This entry was posted in Discount Photography and tagged 35mm, Canon, EW72, Hood, lens, Maxsimafoto by Ball Photo. Bookmark the permalink.